You can call the near site Seymour Bellin Clinic directly but you must say you are scheduling a THUNDER CLINIC APPOINTMENT so they understand you are utilizing our near site clinic benefit and they know not to charge you. 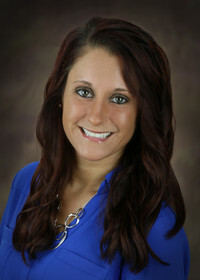 Kristin Collar is a board certified nurse practitioner who specializes in family medicine. She went into family medicine so she could care for a variety of patients and their families, from birth to end of life. Her passion lies within preventive health maintenance, with a special focus on women's health. Kristin enjoys spending time with her husband, daughter, and yellow lab. She also likes to camp at state parks and visit her parents in Florida. My name is Megan Lambeau. I am a Family Nurse Practitioner. I graduated with a BSN in nursing from Bellin College and worked in surgical nursing. I went back to school and graduated with a MSN from Bellin College and started work as a Nurse Practitioner. I have worked in Fastcare at Bellin and then transitioned into the employer clinics in January 2017. Areas of interest include family practice, women’s health, and pediatrics. My hobbies include yoga, hiking, traveling, boating, and camping with my family and friends. I also spend a lot of time with the two dogs and three cats that I have at home. My name is Tina Seewald and I am excited to be starting my journey as a Bellin employee. Bellin’s philosophy of working toward a healthier, happier community fits perfectly with my goals as a registered nurse. I have clinical experience in medical/surgical, orthopedics/neurological and cardiac short stay, focusing on assessment, medication administration and putting my patients and their families first. As a nurse, I believe that it is crucial to help my patients work toward physical, emotional, spiritual and social well-being, that all parts of each unique person are important and essential to live a happy, healthy, fulfilling life. It is my goal to provide an environment where all individuals can feel safe to share their health concerns, their worries, their fears, their successes and failures so we can together work toward whole health. In addition to my nursing degree I have a bachelors and masters in teaching education. I have found that these two careers work hand in hand and I am excited to be given the opportunity to work with my patients, their families and other professionals in a team based environment for the good of all those who walk through my open doors. To schedule with Denise, call 920-833-2306 x486, or email her directly. Welcome to the Thunder Clinic’s health and wellness area. We are committed to you and your family’s health and wellbeing and are here to help you be proactive with all things health related. Check out all the resources available to you and your family here in the onsite clinic.